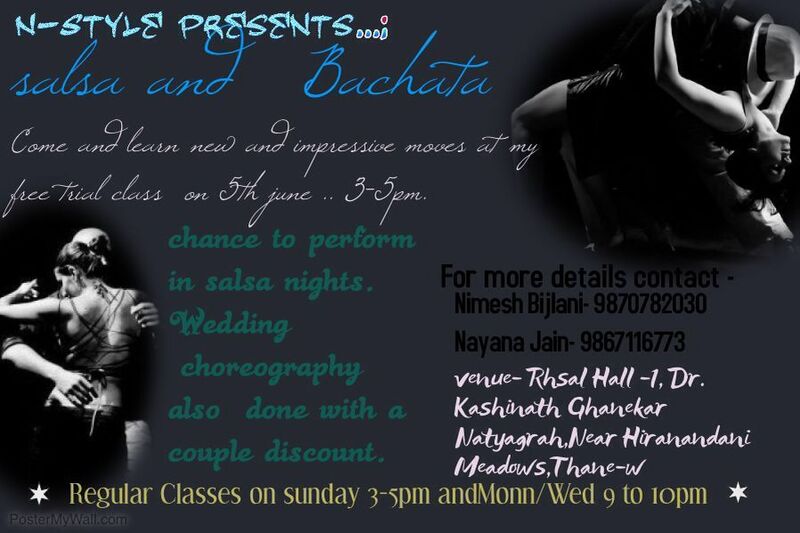 N-Style Institute of Dance & Fitness is Back in this summer season with all new and improved moves of salsa and Bachata in your home town Thane .. Give your love a surprise gift of Dance, Impress her by the moves learned from us .. so what are you waiting for?? sunday 5th June 2016 at 3pm in Kashinath Ghanekar Natyagruh, Near Hiranandani Meadows, Thane (west). And guess what will be teaching 2 different style at the cost of 1..